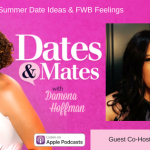 This week Damona got the chance to interview Rachel DeAlto, the relationship expert from the hit show Married at First Sight. 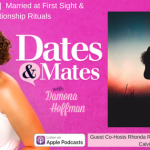 She shared tips on flirting, dating after divorce, and more. Chris Pratt was recently spotted picking up Katherine Schwarzenegger for a romantic picnic, snapping shots of them all the while. The oldest daughter of Arnold and Maria Shriver, Katherine is an author and lifestyle blogger. Pratt split from wife Anna Faris in 2017, but seems to be ready to give love another shot. You can read more via Insider here. You know we like to keep our readers up-to-speed on the hottest new lingo, and we’ve got another one to keep your ears out for: freckling. Describing when you get involved with someone over the long, lazy summer nights but cut them out when it’s time to bring out the jackets come fall, you can read more via Independent here. 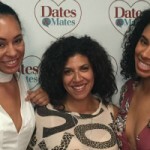 The internet is a-blazin’ over The Proposal, ABC’s new reality dating show. 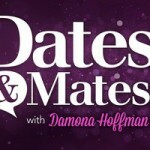 A strange mix between The Dating Game and The Bachelor, contestants compete in “challenges” to “win” a proposal from an eligible bachelor or bachelorette live on air. The catch? They don’t meet them until the very end . . . You can read more via The Outline here. It’s Mary J. Blige’s turn for the Hollywood Hookup, as her divorce was finalized just last week. With a seeming preference for those in showbiz, we think she needs someone respectful, established, and mature. 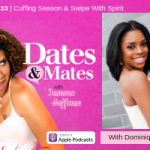 Listen to find out who Damona and Producer Thomas picked.